The first property offered for sale only in bitcoins in London made headlines around the world in the last couple of months. The £17 million Notting Hill townhouse is on the market for around 2,900 bitcoins, a change from 5,050 two months ago. One organization closely watching the Notting Hill property sale is the International Blockchain Real Estate Association (IBREA). The Association was formed in California in 2013 to help educate the real estate industry and accelerate the uptake of blockchain with industry players and governments. said Ragnar Lifthrasir, the founder of the IBREA. The cost savings come not only from cutting out third parties who need to be paid and can slow down the process but also from reducing transaction fees from the 5% to 12% of the purchase price in the UK to the 1% required for bitcoin transfers. It is not just entire luxury properties that are being sold using bitcoins. 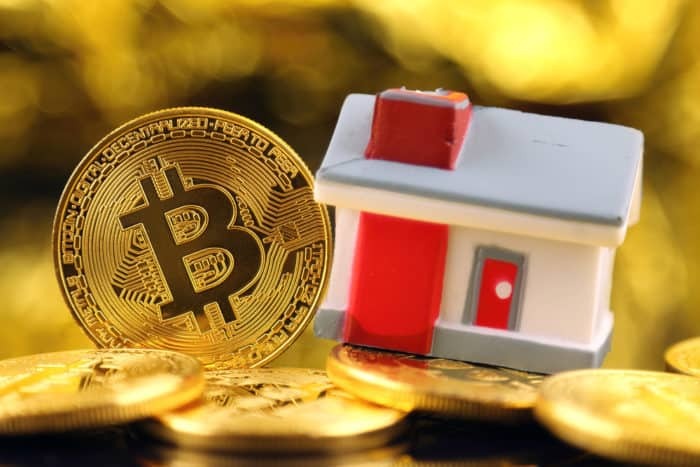 A startup called TrustMe is developing a land registry and exchange for London which will allow owners to sell blocks of their properties as a securitized asset using bitcoins. The homeowner can sell or ‘liquidise’ up to 49% of the value of their home and still live at the property, while investors can use bitcoin to buy blocks of the property from £250. In this way, assets are going to be liquidized in low cost, rapid and creative ways around the world, with art, jewelry, stamps and ironically coins offered up as securitized parcels to holders of blockchain enabled cryptocurrencies. TrustMe is looking to replicate their London model in New York and Toronto, two more cities whose residential property market is priced out of reach for an increasing number of people. said TrustMe cofounder Antony Abell. Similarly, German-based investment platform Brickblock promises to democratize owning property assets. It will sell a Berlin apartment block by the year’s end worth £3 million in chunks to cryptocurrency investors who will also receive a proportion of the rental income in return. There will be no stipulated minimum investment. Interestingly, Airbnb recently announced that it would be offering low-cost loans to hosts for home improvements. But an even more interesting and potentially lucrative move for the company would be to be a kind of brokerage service for guests not just to pay to stay in properties around the world, but also to decide to own a piece of them using the blockchain. It would also help hosts to stay in their homes if they are at risk of defaulting on mortgages, a key motivation already for those who decide to rent out their properties on Airbnb. There are many seasoned investors, such as Mark Cuban, who although they see the vast benefits in democratizing the ownership of assets like real estate, they are growing concerned about bitcoin’s stratospheric rise. With warnings that bitcoin is another bubble similar to the tech boom of the late 1990s, the housing crash of 2007 and the commodities collapse of 2008 – 2009.